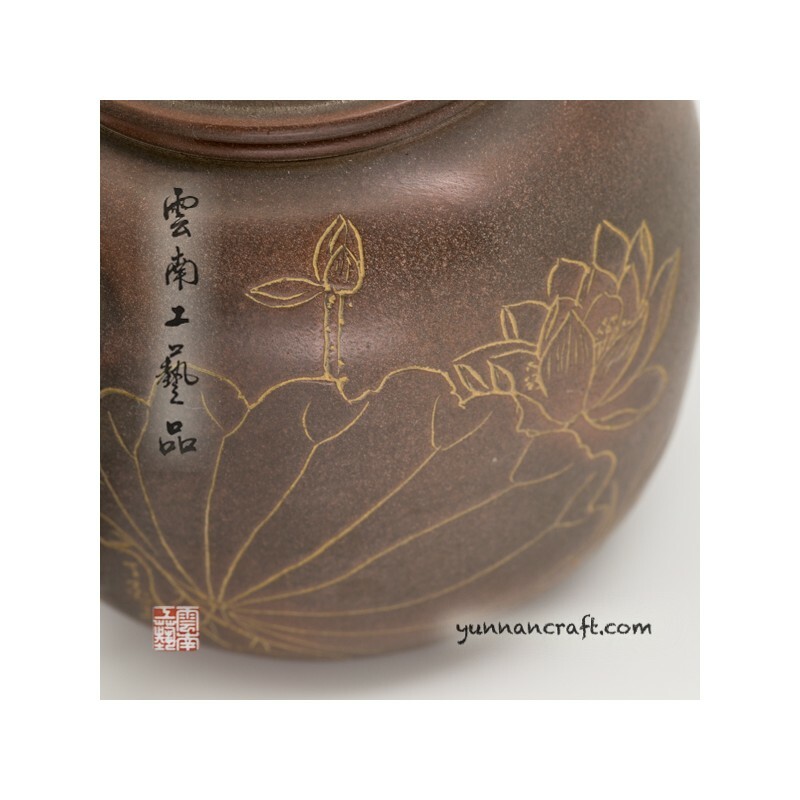 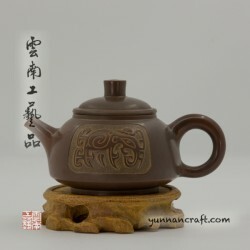 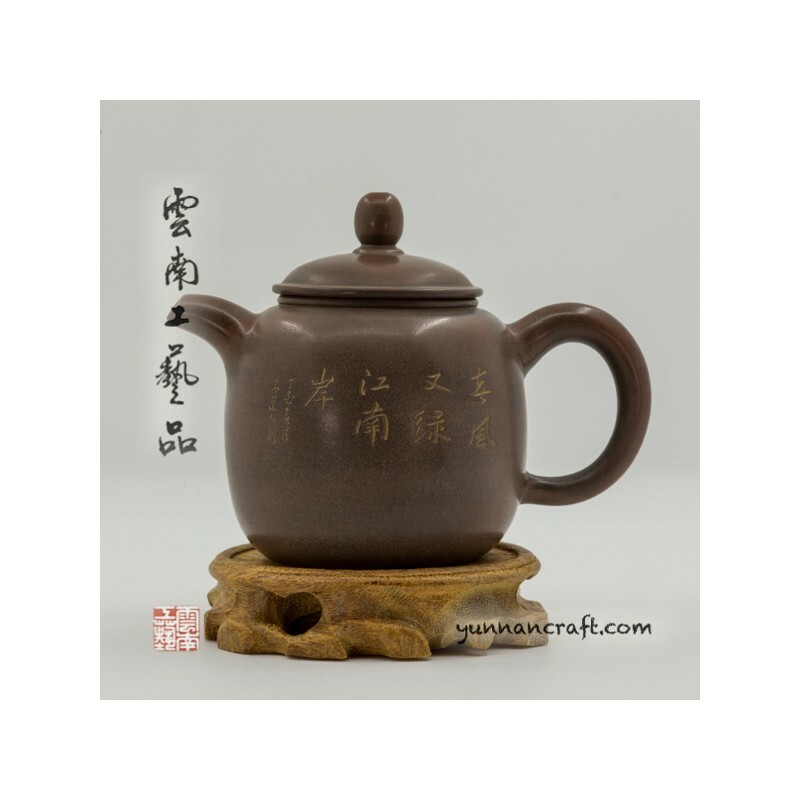 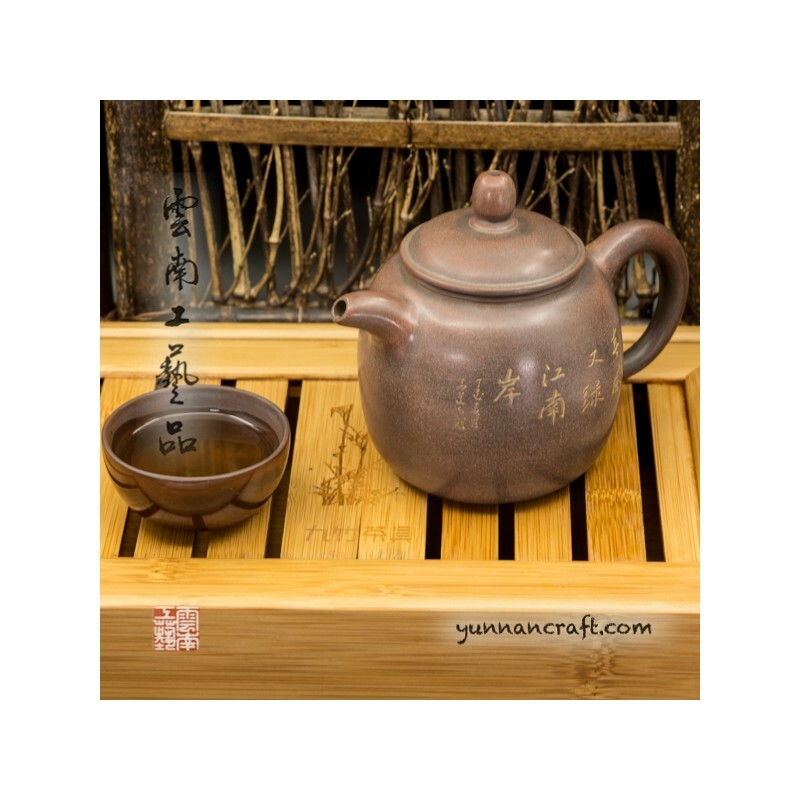 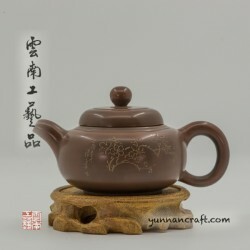 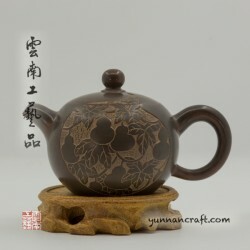 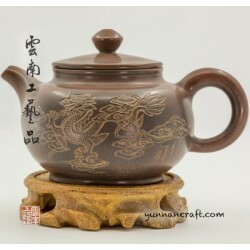 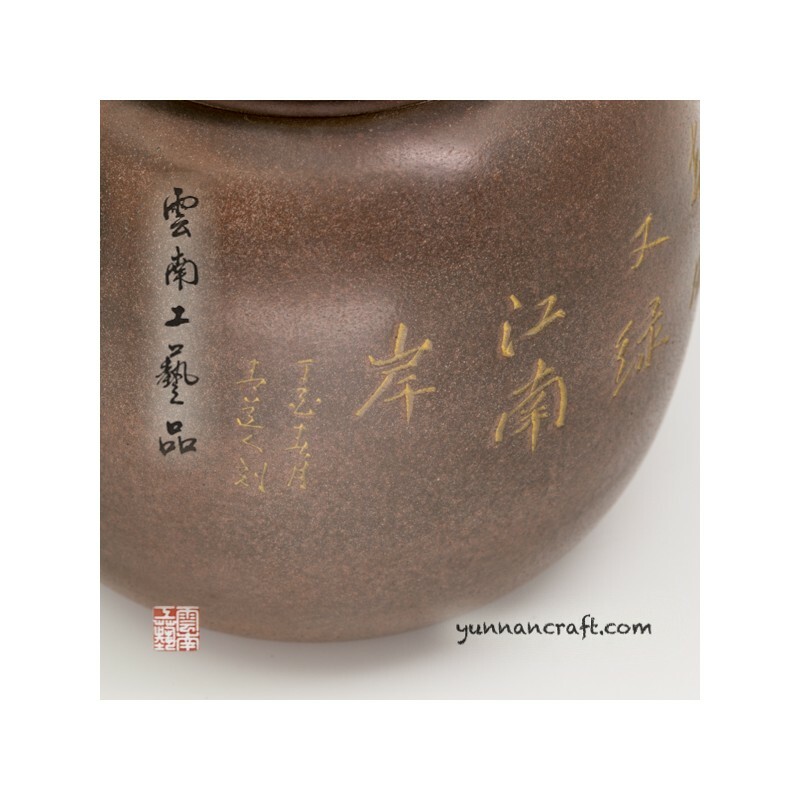 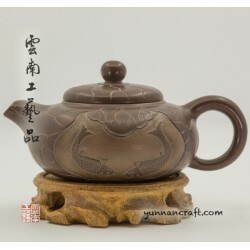 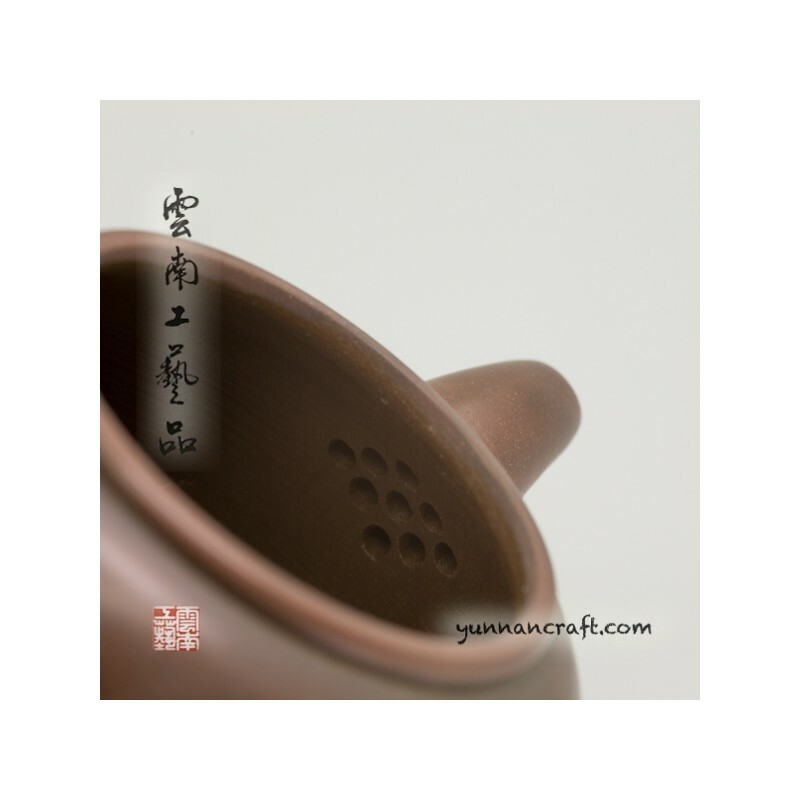 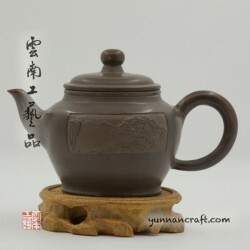 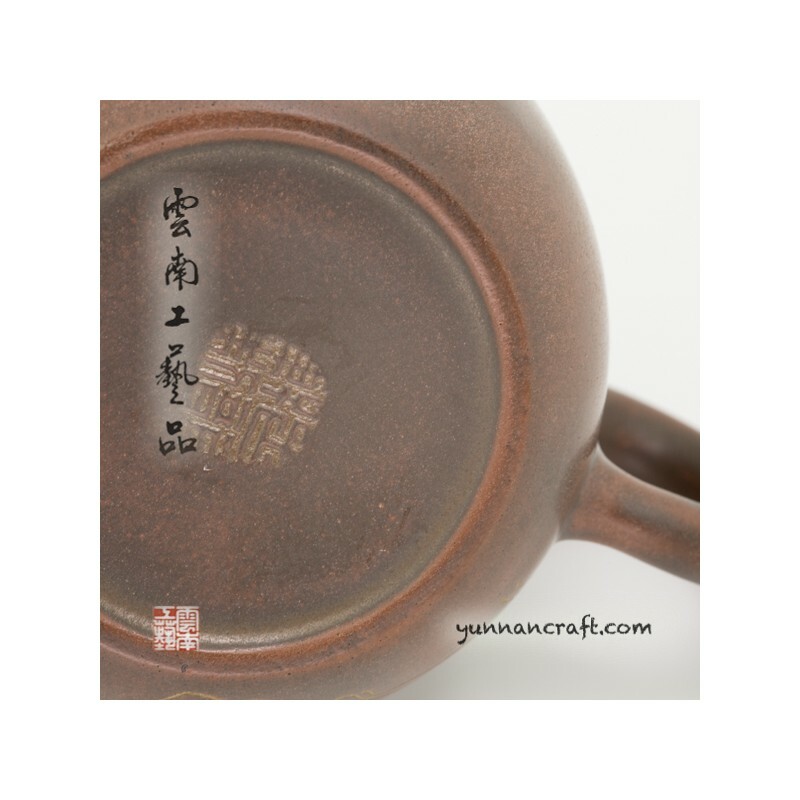 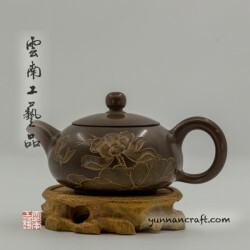 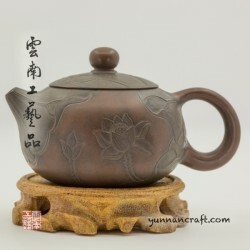 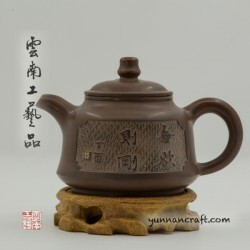 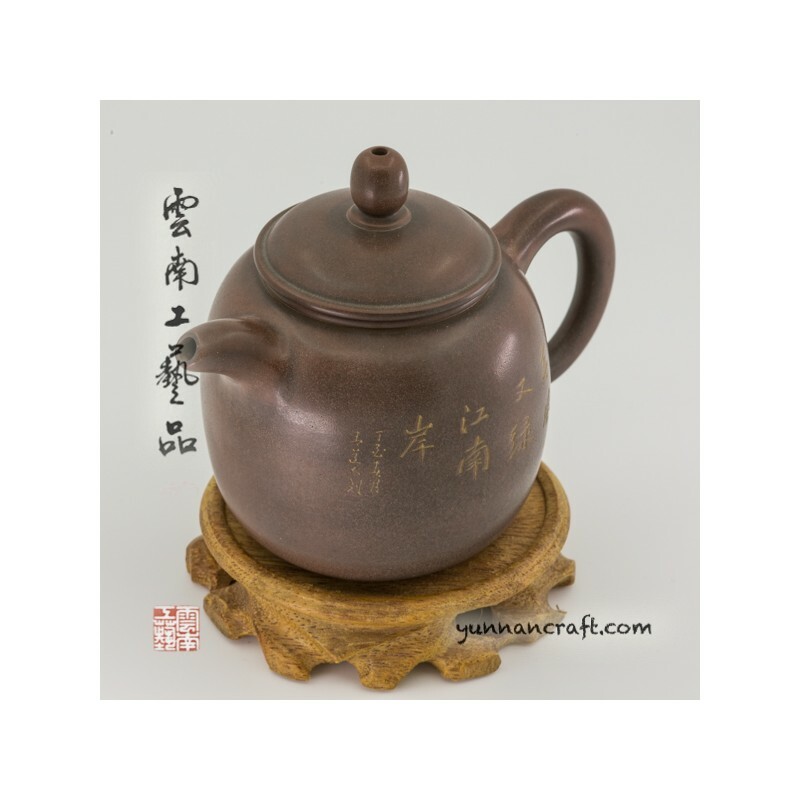 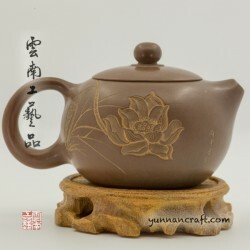 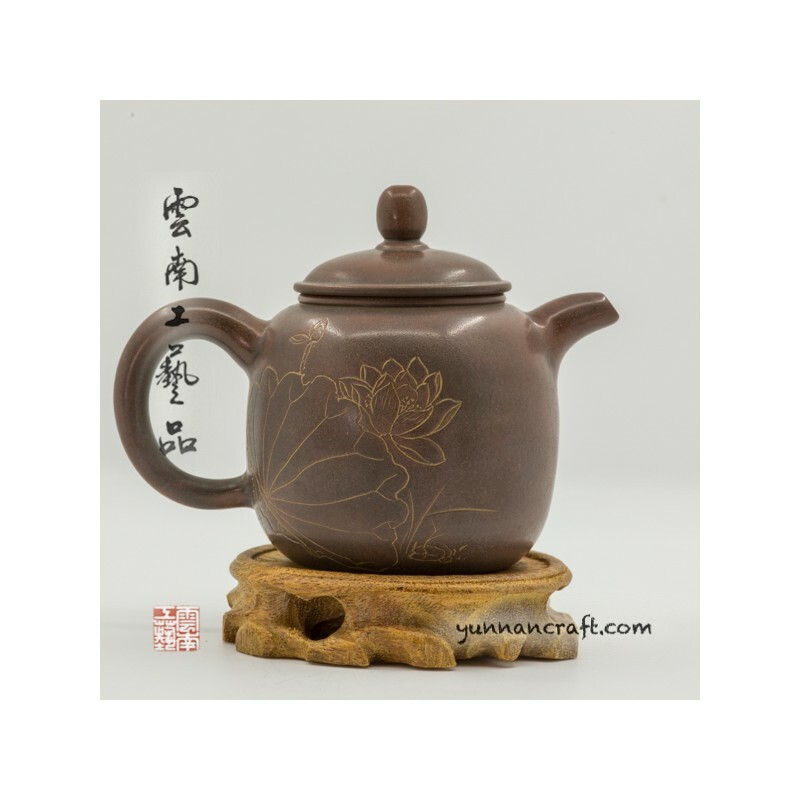 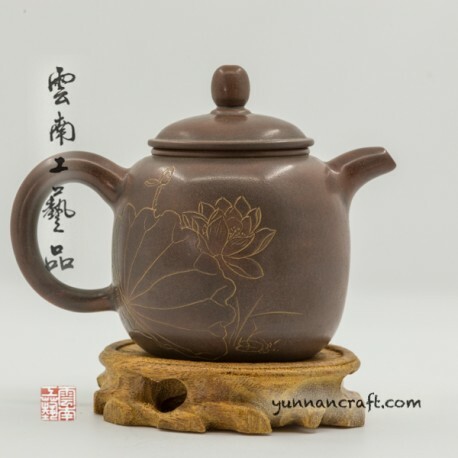 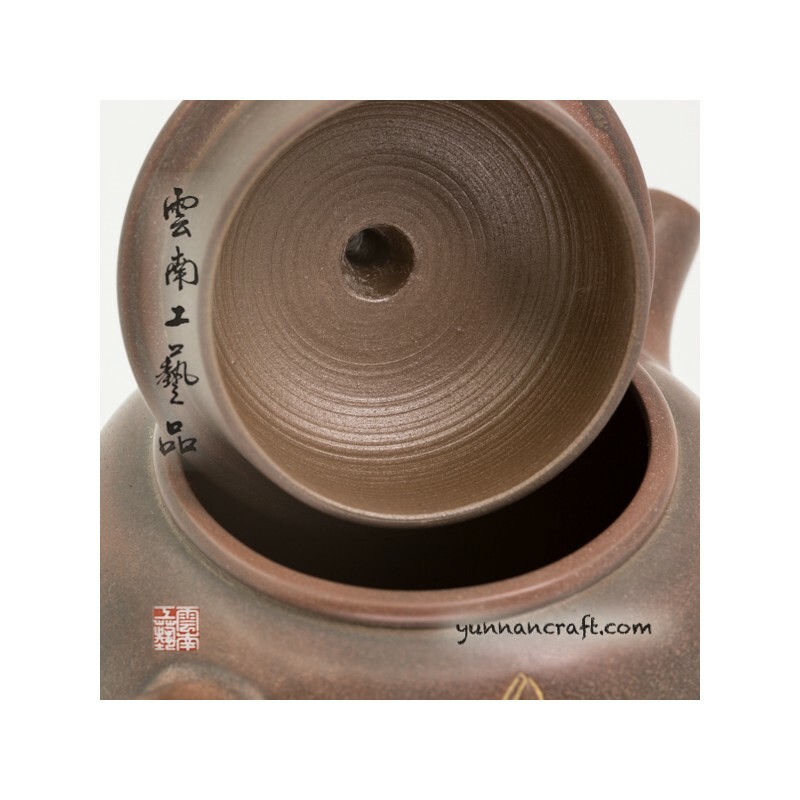 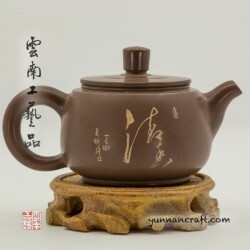 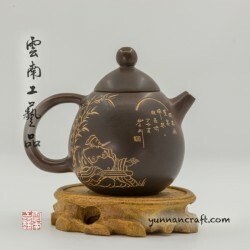 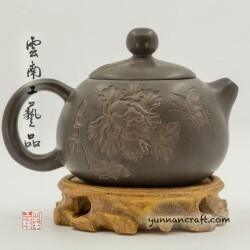 Hand made "qing quan" style teapot with lotus design & calligraphy. 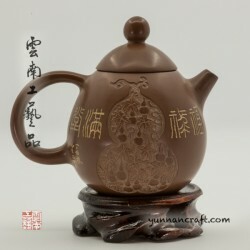 Teapot suitable for big hands thansk to big handle . 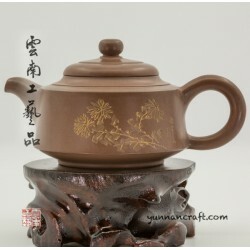 Good for shu pu-erh tea , black , green tea.